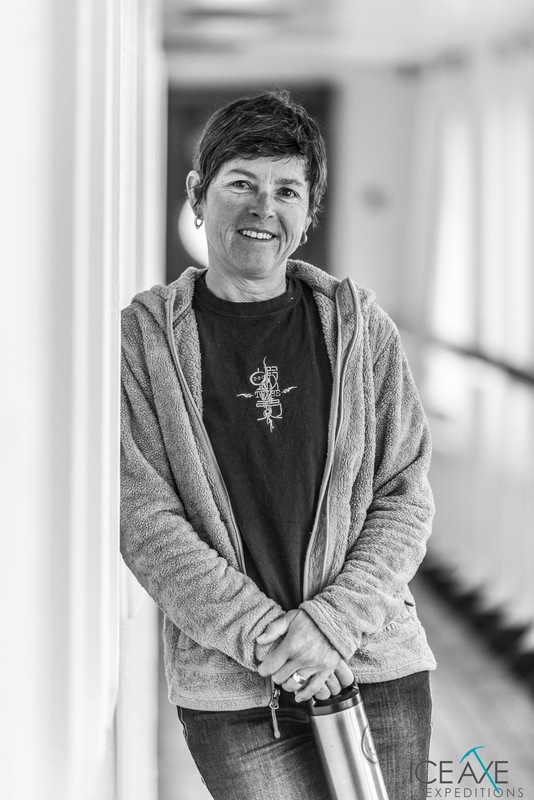 Chicks Climbing was founded in 1999 by Kim Reynolds to empower more women through women’s ice climbing programs. Her vision lead to the creation of Chicks with Picks, which offered the first ever women’s ice climbing programs in Ouray, Colorado. 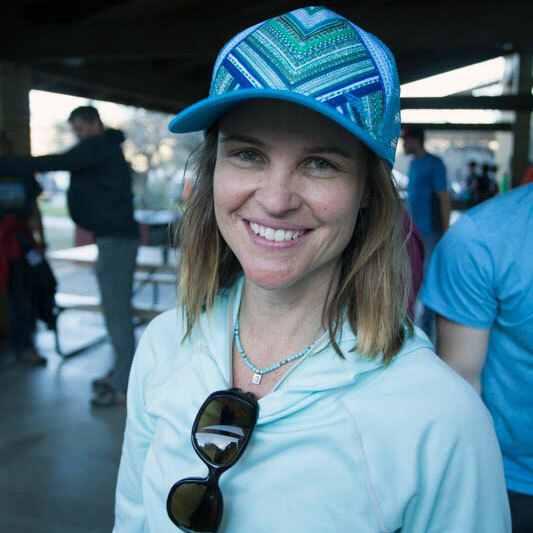 Chicks Climbing & Skiing is now owned by five mountain lovers and experienced guides: Kitty Calhoun, Angela Hawse, Elaina Arenz, and Karen Bockel. Our vision is to empower women through mountain sports, develop community and foster environmental stewardship. We do this through low ratio group instruction led by the most qualified female guides in the country. Chicks Guides will teach you skills and best practices for rock, ice and alpine climbing, as well as backcountry skiing. You will be leading the way in no time. 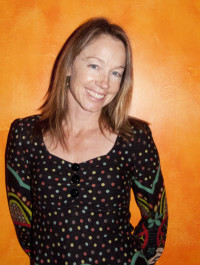 Kitty has an MBA and was a founding partner of Exum Utah Mountain Adventures. She’s also a recipient of the AAC Underhill Award for excellence in mountaineering. She has guided for 35 years, including 17 years for Chicks. Kitty splits her time between Ouray, CO and Castle Valley, UT. 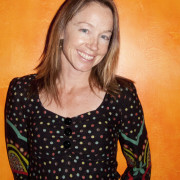 Angela has a BA in Outdoor Education and a Master of Arts degree in International Mountain Conservation. 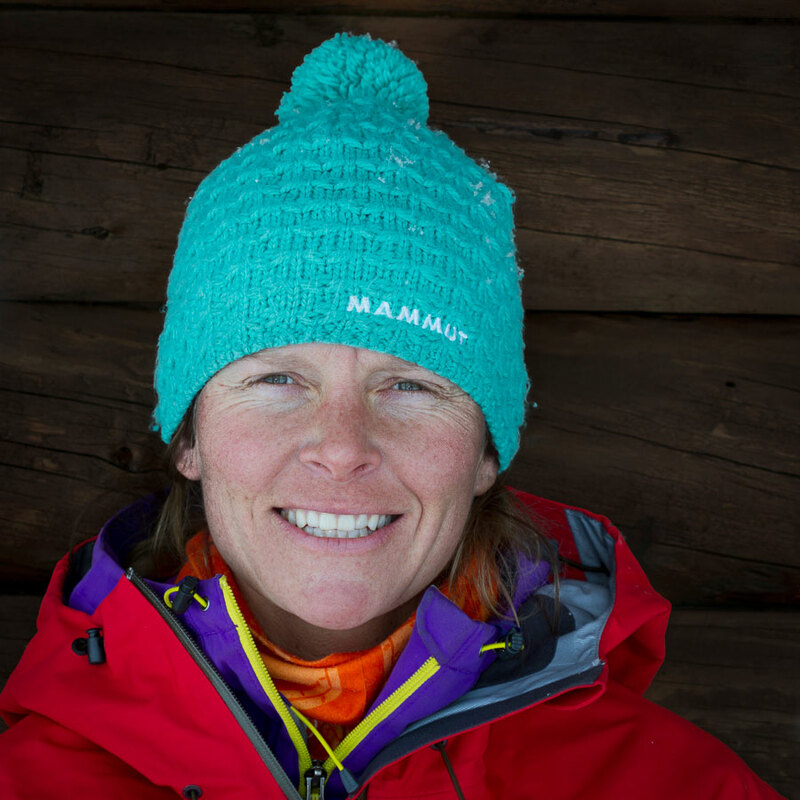 She’s an IFMGA Certified Mountain Guide and is an Instructor for the AMGA. 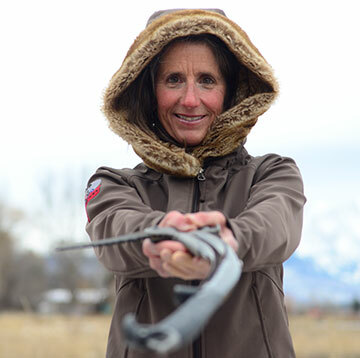 She works as a heli-ski guide in Telluride and is an avalanche forecaster for the San Juans in Western Colorado. She’s guided for 32 years, including 17 years for Chicks. Angela lives in Ridgway, CO.
Elaina has a BS in Advertising and owns New River Mountain Guides. She’s on the board of the Access Fund and has been awarded the Sharp End award by the AF for outstanding contribution to climbers’ advocacy. She’s an AMGA Certified Rock Guide, Apprentice Alpine Guide, Single Pitch Instructor Provider, and a Warrior’s Way Trainer. She has guided for 17 years, including 7 years for Chicks. Elaina resides in Las Vegas, NV. Karen has an MS in Physics and competed on a professional level in road biking and ski mountaineering. Originally from Germany, she found her love of climbing in the hills of Arkansas. She is a newly minted IFMGA Guide and has guided for 10 years, including 6 years for Chicks. She calls Jackson Hole, WY home. 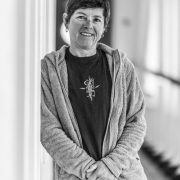 Kim has been an outdoor enthusiast for 35 years and was one of a handful of women to be recognized in the once obscure sport of ice climbing. As she watched the sport grow, she saw few women taking the lead in this seemingly intimidating activity. In 1999, she saw an opportunity for women to learn from other women and gain the confidence needed to become a proficient, self-reliant climber. Thus, Chicks with Picks… “kiss my axe” was born. 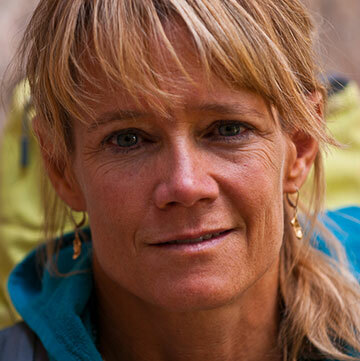 In 2015, Kim was recognized for her efforts and inducted into the American Mountaineering Hall of Excellence. Kellie co-founded Chicks and created history by designing the first Chicks with Picks logo. Since then, graphic designer and artist Kellie Day has put her heart, soul, and sassiness into created the entire Chicks Climbing suit of graphics, including t-shirts, ads, posters, websites, and more. Check out Kellie’s mixed media paintings at kelliedayart.com and graphic design creations at dayzigngraphics.com. Photo by: Shauna Tewksbury. We are proud to have top tier guides at all of our climbing programs. Our guides are world-class guides, famous alpinists and the crème de la crème of climbing. We have gathered a unique group of women into our fold from all over the U.S., Canada and Europe. They attend our clinics and are active on our social networks. They are proud to be part of the Chicks Community and would follow us just about anywhere. 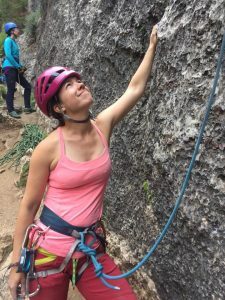 Active on Facebook and Twitter, our alumnae are part of a supportive network of women athletes that regularly discuss gear, crags, technique, nutrition and current events in the climbing community. They are engaged, empowered and a force to be reckoned with – we are proud to call them alumnae and see them wearing the Chicks logo like a badge of honor.